,,Some ninety percent of the Iraqi youth, when asked, say they want to settle in a Western country,'' the Dutch diplomat assured me. That is the reason for the strict visa rules, in Holland but also elsewhere in Europe, which will not loosen up soon, so he predicted. Those visa rules hit everybody. Iraqi businessmen, housewives, husbands who want to join their family, lovers who want to unite. And also single mothers who do not want to leave their children behind - as a staff member found, who was refused entry. Surely she wanted to take her child to the land of milk and honey and start a new life there. That she has a good job, a mother who needs her care and owns her own house did not make any change. For the bureaucrats she was a real threat. 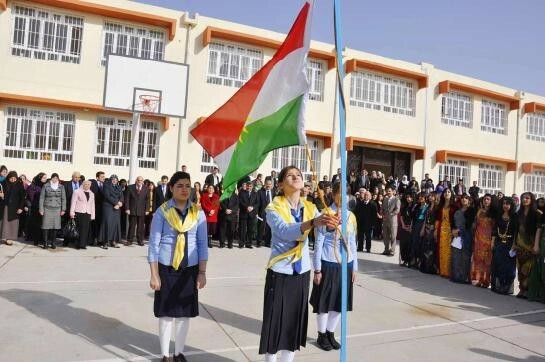 Yet I think, based on personal experience, that the number of ninety percent - where did it come from, I only know research in Iraqi Kurdistan from at least 4 years ago that mentioned eighty percent of the Kurdish youth eager to leave - is far too high. Recession in Europe has already made a big change. Herish for instance, one of the drivers I use, changed his mind. A year ago he was adamant that he would go to Europe to get rich. He was learning English and saving up to buy the passport with the visa on the black market - like so many other young men. Those passport prices had gone up to as much as 10.000 dollars a piece, and yet the demand was still high.And Herish was one of the eager young men to get out of Iraqi Kurdistan and into the part of the world where everything was better. Where life was easy, women plenty and willing and problems few. Many a trip I argued with him, and I told him about the negative atmosphere in my own country, Holland. About the problems he would have finding work, about the impossibility to get asylum. He smiled and thought that I just wanted to keep him from the milk and the honey. Then his brother returned from England. And suddenly Herish realized my story was true. His brother was caught up in the recession, lost his job and saw no other way out than to get back home. Since then Herish has bought himself a house and is saving money to get married, although he does not have a candidate yet for the post of his wife. Occasionally he will complain bitterly about the backwardness of his country and praise the enlightened state of Europe - but he no longer yearns to go there. Herish is by far not the only one. Since recession hit Europe, many Kurds and Iraqi's who live there lost their jobs, had to close their businesses or lost their temporary permits and benefits. Many have returned home. And because the reason for returning was not theirs, they for once were honest. No more glorious stories about the great life of luxury in the West, because the family and the friends were expecting those. No more need to show off with expensive cars and clothes. Now out came the complaints about the former paradise: no jobs, no warmth, no equality, no support. And finally they could also admit how bitterly they missed their country. Who wants to be a migrant? Don't! There is no honey and no money to be captured in Europe! People are more aware of the tightened rules that have been put in place. As one of the Belgian papers put it: 'Working hard for the Belgian identity' - only those migrants that are really integrated will get a Belgian passport. And many other countries have done the same. By now many Iraqi's have heard the stories about asylum seekers that could not work in Europe and thus sent their family into poverty - no income and yet many debtors to be paid because of the loans for the expensive passport plus visa and the trip. This, plus the fact that the economic situation in Kurdistan has improved so much since they left, have made many young people change their minds. Their dreams have changed, from luxury in the West to luxury at home. Get a house, a car, a wife, a nice set of sofa's, a big TV... it is somehow now all possible for most of the young Kurds. Of course the other grievances against the Kurdish (Iraqi) society remain. Social freedom is hard to come by. The family is the centre, which means also that the families rules. Social control is almost complete. Yet young men have found ways around it. They meet outside, where bowling halls, malls and cinema's have opened. They even found ways to get to know girls, as in some places now unmarried couples can meet without being harassed or stigmatised. And with the economic boom boredom is decreasing - new businesses open, more trading opportunities arise and with all the western companies and the new 5 star hotels more job opportunities have opened. Yet the issue remains, that Iraqi's cannot travel on their Iraqi passports. Only if they capture a western passport, the borders will open for them. Even if the honey and the money are no longer there, the opportunity to get a foreign nationality and finally be free to go where you want, will still attract people.